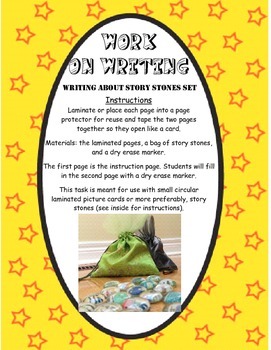 This work on writing activity is meant to be used with story stones or story coins. The kit includes detailed instructions for you to make your own as well as simplified suggestions if you would rather just make laminated cards. We LOVE our story stones and use them for tribes activities, oral language tasks, writing centers, group work, paired work, sorting, etc. 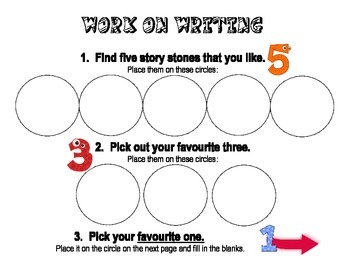 And here's a daily 5 center to help you use them with your younger ones. 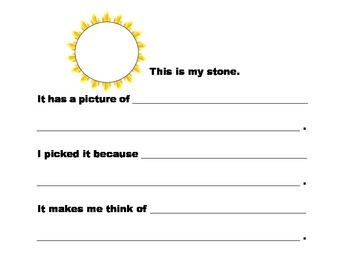 The sheets from this activity are designed for my grade 2 english language learners who have a lot of difficulty writing, but can be used as a way to begin descriptive writing as well. 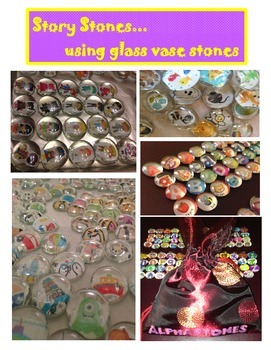 You can definitely use the instructions for making story stones for ANY grade though. Story stones definitely grow with the child.